Gain visibility and take control of your information. Enter your information to the right to receive login credentials for the Information Map. 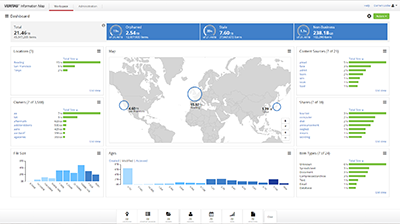 Once logged in you can test the actual functionality of the product and experience how the tool can display unstructured data, navigate large datasets and quickly filter the environment down to interesting content.